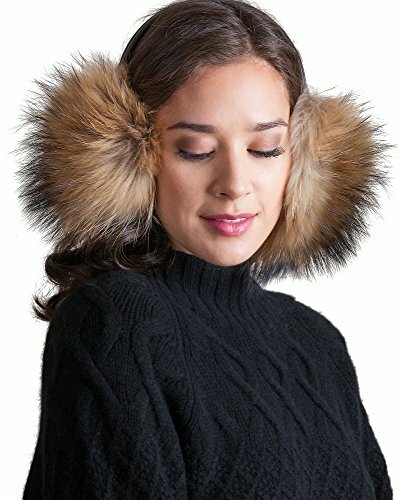 A lovely alternative to wearing a hat, our Finn Raccoon Fur Earmuffs protect you with softness and beauty. Cover your ears with genuine Finn raccoon fur that's fluffy and gorgeous, for the perfect coverage on a breezy day. These pretty ear muffs are poised on a soft velvet frame with a snug fit. You can also wear these to add that extra protection under a coat hood. Pair them with a jacket, coat, cape, or vest, for commuting to work or a morning walk. One size. Made in Canada.